White shimmer folded notes with rounded corners. Thermography personalization on cards and envelopes in black raised ink. 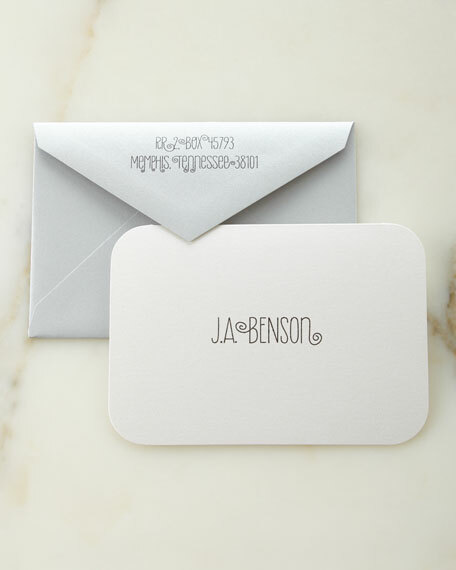 Personalization on cards is two lines (up to 20 characters/spaces per line) in style shown; personalization on envelopes is two lines (up to 30 characters/spaces per line) in style shown.